"I'm very happy to have another year at this club," Ribery said. "Munich is my home and has been for a long time, so I'm proud to be able to wear the Bayern shirt again in the new season. So far we've had a lot of success together. I hope that next season will be another good one, and hope that we get a bit of luck to win the Champions League." As well as his record-equalling haul of Bundesliga titles, the former France international has also lifted the DFB Cup five times, the UEFA Champions League, the FIFA Club World Cup and the Supercup, among others. He is also the club's leading non-German appearance maker. "We're very happy to extend with a player like Franck," explained Bayern sporting director Hasan Salihamidzic. "He's a key player and a massive fan favourite. We delighted about it and are really looking forward to next season." 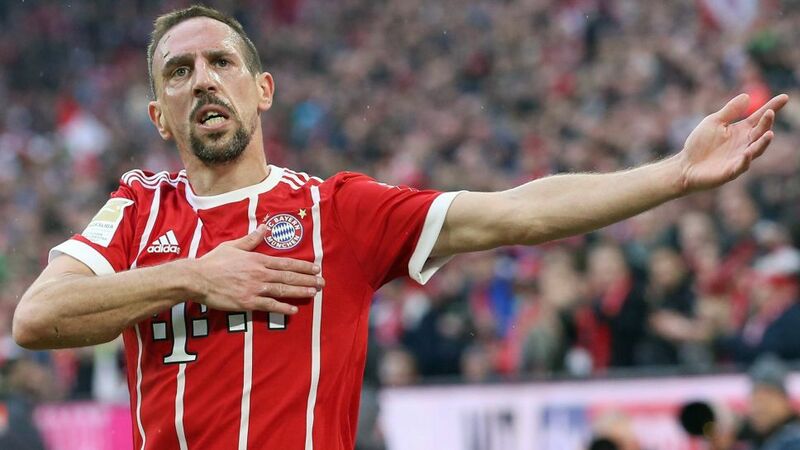 Ribery's partner in crime and another long-standing Bayern servant, 34-year-old winger Arjen Robben, is reportedly still in talks over a new contract. The Dutchman's current deal expires in the summer.